Needless to say, they will buy the Toyota when foreign investor entry Japanese stocks. If yen is weak in the long run , the hand which they buy first of all will be extended to export-related stocks. Then, do how far? 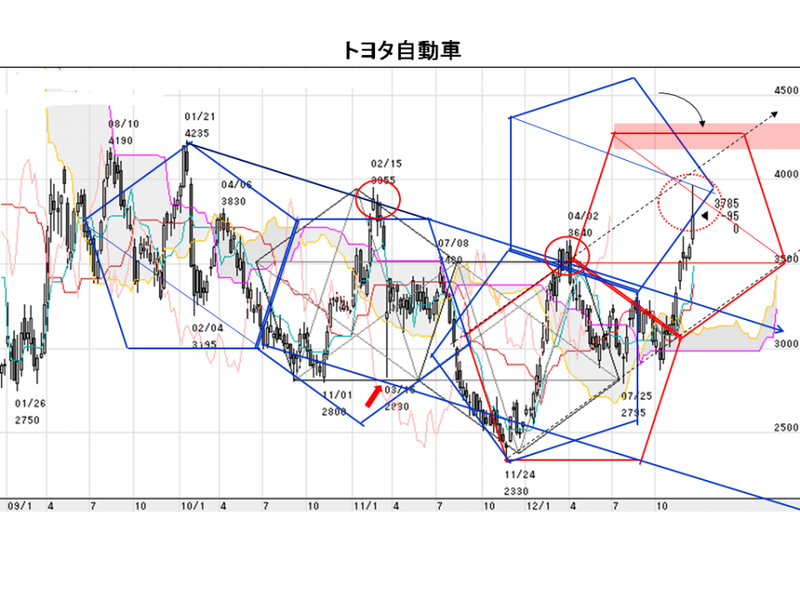 It is a Toyota chart on Dynamic Pentagon analysis. A Resistance (blue Pentagon) splendidly works last week. Although the rise was prevented, the target will be expectablethe the first half of the level of 4000 yen by the beginning of spring. And 2014 will be more severe through one year. Copyright © MARKET CROSSOVER All Rights Reserved.